SINGAPORE —January 16, 2018— Technology innovator Stealth Sonics (www.stealthsonics.com) today announced the global launch of its first range of precision-tuned universal and custom in-ear monitor systems, to be unveiled at the January 2018 Winter NAMM Show in Anaheim, California, in booth #11248. 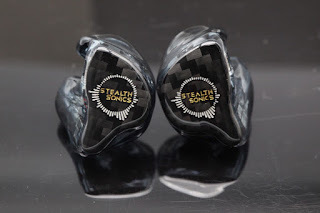 Stealth Sonics leverages its innovations in the aerospace, medical, music, and acoustic fields to craft in-ear monitors that are as unique as each person—from custom precision-tuned systems to personalized finishes. Artists and engineers enjoy the utmost sonic accuracy and advanced hearing protection, in total style and comfort, with systems that take them from the studio to the stage to the street, without missing a beat. What’s different about Stealth is its design philosophy which employs the scientific approach to couple a person’s natural hearing system with advancements in acoustic and audiological technologies. U2 & C2: A two-driver hybrid design for a warm, smooth, musical sound. U4 & C4: A four-driver, pure balanced armature (BA) design for punchy bass, silky midrange and crystal-clear highs. U9 & C9: Flagship nine-driver, hybrid high-performance design featuring a precision-calibrated, large-diameter dynamic driver together with Super-High drivers, for extreme detail, precision and clarity. All universal-fit in-ear monitors come with the Khameleon Skinz®, the world’s first interchangeable screw-on faceplate accessory that incorporates Stealth Damping® technology. Other available accessories include an array of eartips in various sizes and styles, and detachable silver-wire, copper-wire, lightning, USB-C and Bluetooth cables tailor the sonic experience to the user’s lifestyle. For the ultimate in personalization, you can choose from dozens of colors and accessories, and even feature your custom artwork to express your unique style or brand. All Custom IEMs feature either a dual or triple-bore sound aperture. Stealth Sonics finishes are highly-polished, seamless unibody designs. All Custom IEMs come with a 30-day refit policy. Learn more about Stealth Sonics by visiting www.stealthsonics.com or stopping by NAMM Show booth #11248 for a demo, January 25 through 28, 2018. NAMM 2018: See What We Saw!